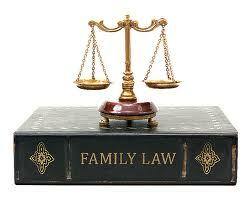 Pascazi Law Offices handles FAMILY COURT matters. Family Court proceedings are rarely easy; they are often intense and highly stressful matters. When money, or safety, or children are involved, even the slightest disagreement can turn an amicable situation into an arduous courtroom battle. Nonetheless, it is important to take action to protect your interests, and to secure the best results for you, and/or your children at the first sign of trouble. Pascazi Law Offices’ extensive familiarity in this delicate field has allowed us to cultivate the skills necessary to handle each case with care, attention, and when necessary, tenacity, so that you can secure the best possible result, as quickly as possible. Attorney Pascazi appears in the Family Court, representing both men and women. Pascazi Law Offices represents family court clients in the following geographies: Westchester, Rockland, Putnam, Dutchess, Orange, Sullivan, Ulster & Columbia Counties. Do not rely upon the advice of relatives, friends, and/or acquaintances that undoubtedly mean well but very often provide the wrong legal advice. Seek the advice of a competent family court lawyer before making any life changing decisions for you and/or your children. 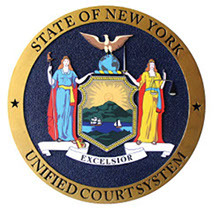 Call One of New York’s BEST FAMILY COURT Attorneys Now. The Father has not seen his children for months. In fact, he hardly ever sees his children by his own choice. The Mother lives in the South working hard and supporting the two children with virtually zero financial help from the Father, even though he has been ordered to pay; he has astronomical arrears of child support. The Mother comes to New York to visit her parents, who have not seen their grandchildren in some time. While she is here, the Father gets the bright idea to sue her for custody/visitation. The only thing is that neither the Mother nor the children are New York residents. The children have been residents of the South for well over six months; years in fact. The ex-girlfriend just could not get over that the boyfriend had moved on and was happy, and residing with Pascazi Law Offices’ client. There was constant tension. A simple drop off for visitation turned into drama. Pascazi Law Offices’ client was served with a Family Offense Petition and a full no contact, stay away Temporary Order of Protection. Such threw the client’s life into turmoil. Daily driving routine’s needed to be changed. Going to work became complicated.